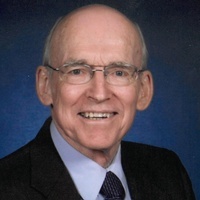 Jack (Mudd) Drury, Age 85, of Roseville, Minnesota, formerly of Wabasha, passed away peacefully on Friday, March 15, 2019. Survived by his loving family: Children: Erin (Reegan) Hadrits, Linn Drury and Sean (Kerry) Drury. Grandchildren Tyler, Carson, Alaya, Noelle, Connor, Chelsea, Paige and Dominic and many other family and close friends. Proceeded in death by: Wife, Kathleen McGrane Drury, Granddaughter: Lily, Brothers: Ed, Micky and Bill and many other loved family and friends. He was born in Wabasha, Minnesota. He served in the Army and was a member of the Wabasha American Legion Post 50. Mass of Christian Burial to be held at Corpus Christi Catholic Church (2131 Fairview Avenue North, Roseville Minnesota) on Thursday, March 28th at 10:00. Visitation one hour before service at 9:00. Interment in Wabasha, Minnesota at St Felix Cemetery on March 30th at 1:00 with full military honors. Memorials preferred to The Scholarship Fund at St Felix Catholic School (130 3rd St E. Wabasha, Minnesota) 55981 in memory of Jack Drury.